From 1727 to 1733 the newly built house on this site was occupied by Philip, Earl of Chesterfield, but Thomas Phillips retained the freehold until February 1733/4 when, Chesterfield having vacated the house, he sold it to Sir John Heathcote of Normanton, Rutland. Together with the house-property, which ran back 127 feet along King Street, Phillips sold stables and a coachhouse, giving an additional frontage of some 18 feet to King Street and also a frontage to Duke Street. Probably early in 1805, the house was surveyed by Sir John Soane for a prospective purchaser, Lord Eliot. He described the house, built eighty years before, as ‘very old’. The front door in King Street was ‘rather low’, and the best staircase wound over it. This staircase was of stone and rose only one storey. A back staircase was also of stone. Soane observed that the house was ‘very open behind’ but thought the £7000 being asked for it an ‘enormous’ sum. Lord Eliot went elsewhere, and the house was taken by Lord Castlereagh, later the second Marquess of Londonderry. 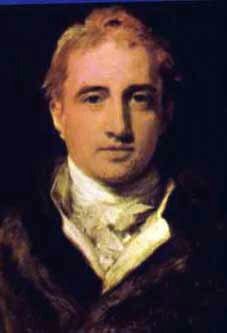 In January 1830 the third Marquess of Londonderry and Lord Castlereagh (later the fourth Marquess) sold the house for £14,000 to Sir John Beckett of Somerby, Lincolnshire, whose representatives owned the house until 1943. In 1831 Sir John Beckett let the house furnished to the Oxford and Cambridge University Club, which had occupied it since June of the previous year. 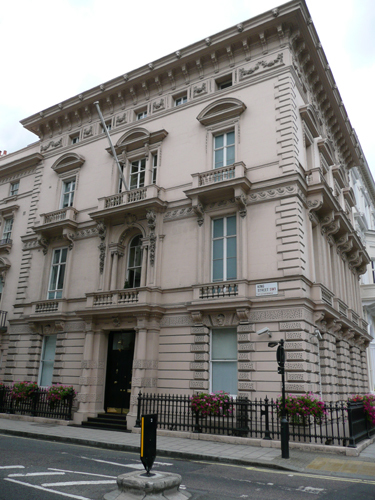 In 1834 the Club declined an offer of the freehold and instead the Committee decided to build a new club house in Pall Mall. In 1838 No 18 became the first home of the newly-formed Army and Navy Club, who remained there until 1845 when it moved to Lichfield House, No. 15 St James’s Square. In September 1845 Sir John Beckett had agreed to grant a lease of No. 18 and its back premises to Kelk as soon as the house in the square had been ‘altered and completed’ and the new houses in King Street built. In October the demolition of the old back premises was begun. A survey was made by the Metropolitan Buildings Office at the urgent request of Marsh Nelson, whose opinion of the damaging effect on the value of No. 17 was supported by Barry, Hardwick, Pennethorne and Tite. A few days later, however, the case came to an abrupt end with the decision of the official referees that they had no jurisdiction, probably because the encroachments complained of were at the back. Tite had spoken in his deposition of the intention ‘to pull down the corner house’, and a plan agreed between the disputing parties described No. 18 as ‘to be pulled down’. 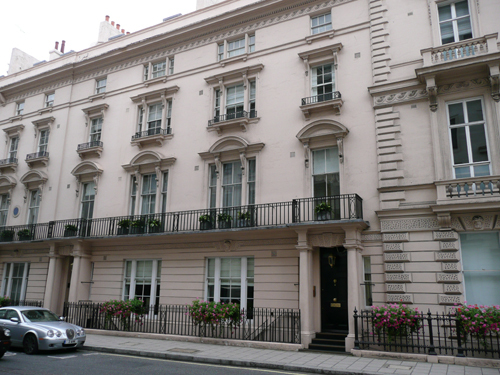 But the present architectural character of the front to St. James’s Square discussed below makes it seem evident that, as the lease to Kelk suggests, the house was only altered, although the three in King Street were wholly new-built. In July 1846 Sir John Beckett granted ninety-nine-year leases of No. 18 and of one of the three new houses in King Street to Kelk, at £100 and £70 per annum respectively. George, 4th Baron Sondes is recorded as living there in the 1845 edition of The Peerage of the British Empire. We know that Field Marshal Lord William Paulet (1804-1893) was living there afterwards for he died in the house on 9th May 1893. Sir William Rose 2nd Bart is listed in 1897 and in Who’s Who of 1900. He died in 1902 and his son Sir Cyril Stanley Rose 3rd Bart (1874-1915) took over the house.5 However, it seems that the building might have been divided, as Mr Henry Griffith is recorded as living there in 1899.6 He seems to have been trading in objets d’art and was still listed there in 1935. In 1907 a Mr George R. Harding, dealer in works of art was also living there. He is known to have sold many items to a number of major museums, including The British Museum,7 The Pitt Rivers Museum and the Cloisters Museum in New York. From the late 1940s until the early 1990s No 18 was the headquarters of Hawker Siddeley. In recent years the building has been divided into residential apartments. The present exterior is designed in a lively Italianate manner, freely adapting the forms of a Renaissance palazzo. 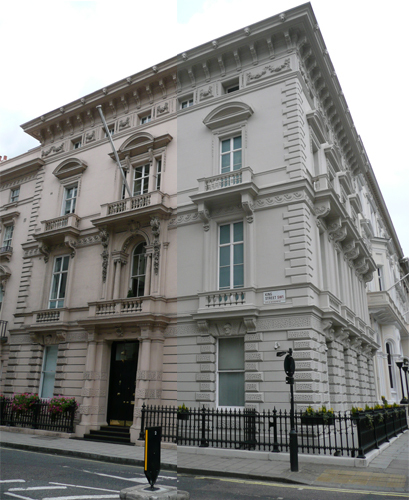 It has painted cement fronts to St. James’s Square and King Street of four and three bays respectively which are divided horizontally into three single-storey stages by small cornices, each stage being bounded by raised quoins except at the northern end of the St. James’s Square front. A deeply projecting cornice crowns the composition, and beneath it runs a tall frieze in which are contrived the small square windows of an attic storey. The relatively low ground storey is rusticated, the quoins and the raised blocks which surround its windows and form their reveals being vermiculated, while the heads of the windows are linked by a vermiculated band and have keystones adorned with benign bearded heads. In the second storey the windows are tall, with moulded architraves extending from the lower cornice to a guilloche band beneath the upper, and their feet are connected by a pedestal course which breaks into a balustraded balcony before each window. The third storey is similarly treated but, in a curious reversal of established custom, it receives greater emphasis. The windows, their architraves shouldered and slightly enriched, are finished with pulvinated friezes and large segmental pediments, while the balconies have balusters of a slenderer profile and long richly moulded brackets which rest on the architraves of the windows below. The attic storey is defined by the small architrave of the crowning entablature and here again the windows have shouldered architraves with slight enrichment, the spaces between them being filled with raised panels bearing swags moulded in high relief. The crowning cornice has multiple supporting brackets and its moulded face is adorned with a row of small lion heads. The feature of the King Street front is the wide middle bay with its slight projection in the ground and second storeys. Its ground storey contains the main entrance, flanking which are pairs of square Doric half-columns, each pair having in front of it an attached round-shafted column. All six columns are rusticated with vermiculated blocks and upon them rests an entablature forming a base for the balcony above, its dentilled cornice supported in the centre by an ornate bracket. The middle bay of the second storey contains a variant on the Venetian window, with detached Ionic columns but no sidelights, the place of these being taken by two panelled pilasters which stretch from the pedestals of the balcony below to the base of the one above. The arched head of the main light is outlined by a moulded archivolt with a cartouche in its centre and its soffit is richly moulded. The flanking pilasters have enriched capitals and resting against them are the ornate brackets of the balcony above, each bracket having beneath it a grotesque head with a pendant of fruit suspended below it. In the third storey the middle window is of three lights with a pulvinated frieze and a cornice above it, the part of the cornice over the wide centre light being developed as a segmental pediment with two supporting brackets. In the attic storey the three-bay arrangement is disregarded, and there are simply five small windows evenly spaced. 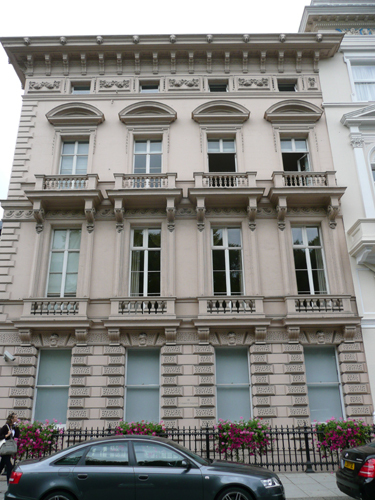 An interesting feature of the St. James’s Square front is the close spacing of the windows, which in fact corresponds exactly with that of the windows in the eighteenth-century building formerly on the site. Since the outer walls of the old building were unusually thick and the principal internal walls were in the same positions as those of the present building it seems clear that Elger and Kelk’s work must have consisted only of heightening and stuccoing the building, and reducing its depth at the west end. The design is integrated with the terrace Nos 1A, lB, lC King Street, St James’s by the same architects. I was employed to advise on the appropriate colour to repaint the exterior of the building. 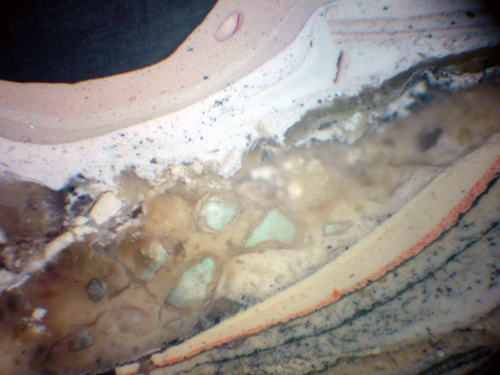 At the same time technical advice was given on the existing paint layers. Analysis established that the building had originally been painted in a greyish stone colour. I mixed a couple of variants of this and an assessment was made before the final choice of colour was made. Papers and Paints mixed all the paint for the project. 1 Most of this has been taken directly from ‘St. James’s Square: No 18′, Survey of London: volumes 29 and 30: St James Westminster, Part 1 (1960), pp. 159-161. 3 Barbara Arnett Melchiori. 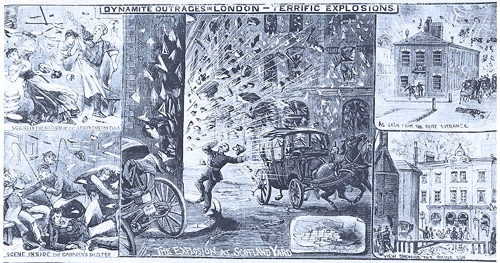 Terrorism in the late Victorian Novel. Croom Helm, 1985. P.16. 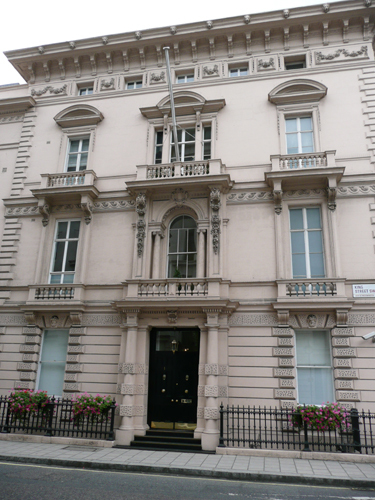 4 The Old Bailey Proceedings, 20th April 1885 confirms that Sir Watkin lived at No 20 St James’s Square. However, some reports persist in referring to No 18. 5 Oliver and Boyd’s Edinburgh Almanac of 1906.